Cost is $15.00 plus $3 Shipping continental U.S. Supplies are limited. 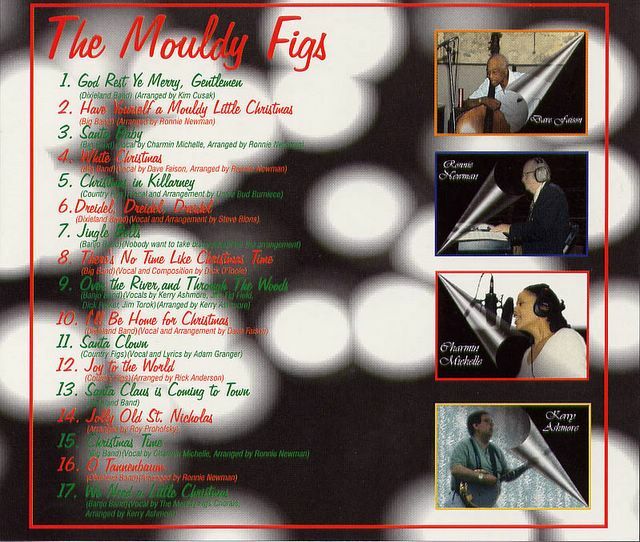 "Have Yourself a Mouldy Little Christmas" ...Less than 10 available! 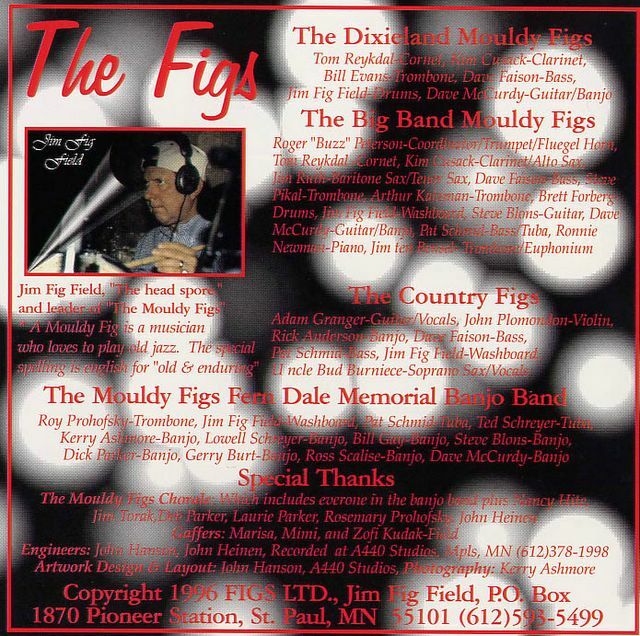 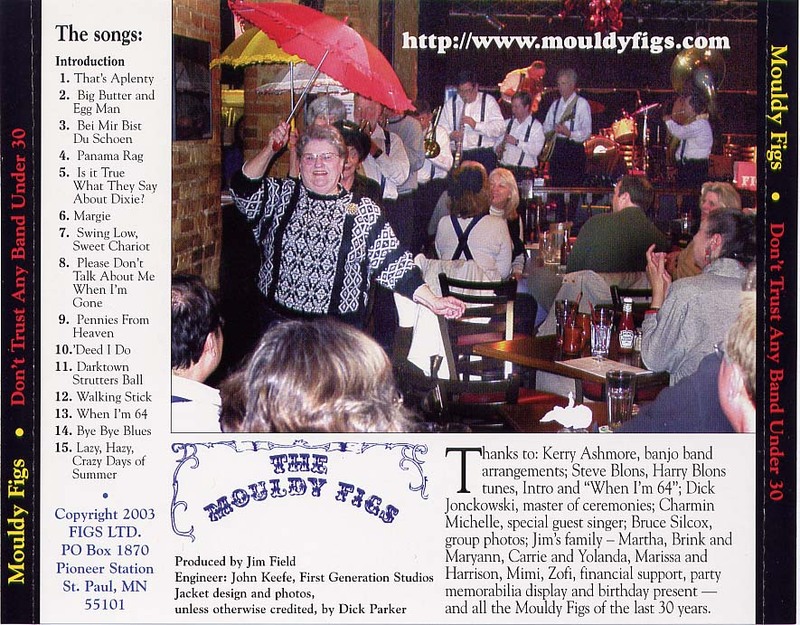 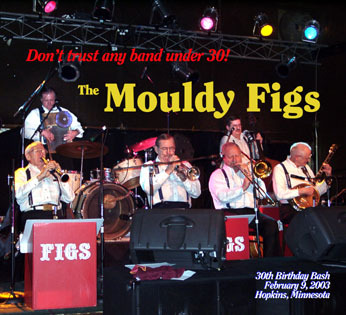 "The Mouldy Figs... Live at the Bungalow"
The Figs first LP reissued on CD, now a collector's item, only 2 left! 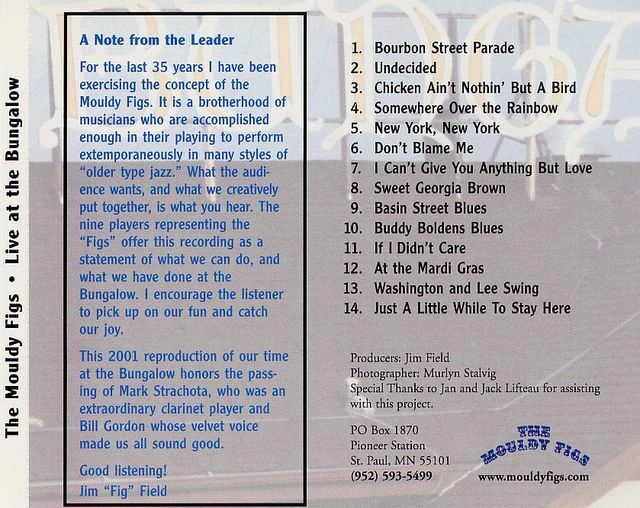 Recorded at their 30th birthday bash at the Mainstreet Bar & Grill in Hopkins, MN On Feb. 9, 2003.